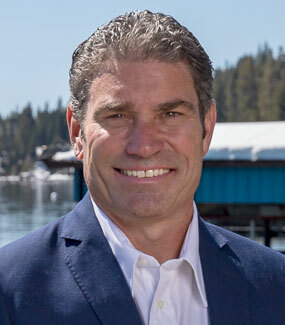 One of the more intimidating things about buying a home in Lake Tahoe real estate is understanding the market. The shape of the Tahoe Real estate market will determine how far your dollar will take you. Buyers want to get a low price on a home and when the time comes to sell, hopefully the value of the home has gone up, resulting in a profit. 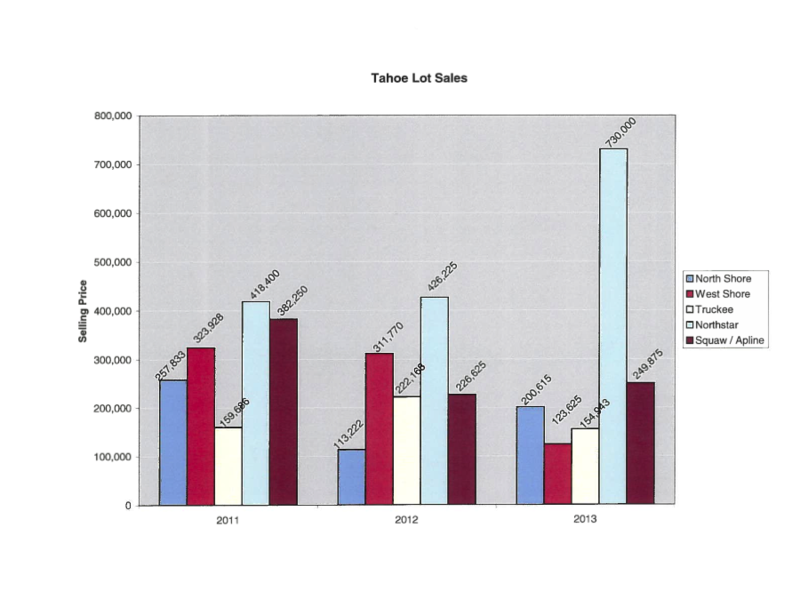 Around the end of 2006 / beginning of 2007, the Lake Tahoe real estate market was stronger than ever, and it was a great time to sell. Fast forward a year and the market had completely changed. Home values dropped rapidly. If you had the money, this was a great time to buy. 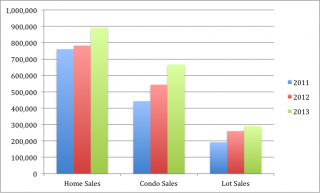 We’ve seen both an extremely strong, and an extremely weak real estate market this decade in the Lake Tahoe area. Now, things are starting to normalize again. In the real estate market, normal is good because both the buyer and seller have peace of mind. 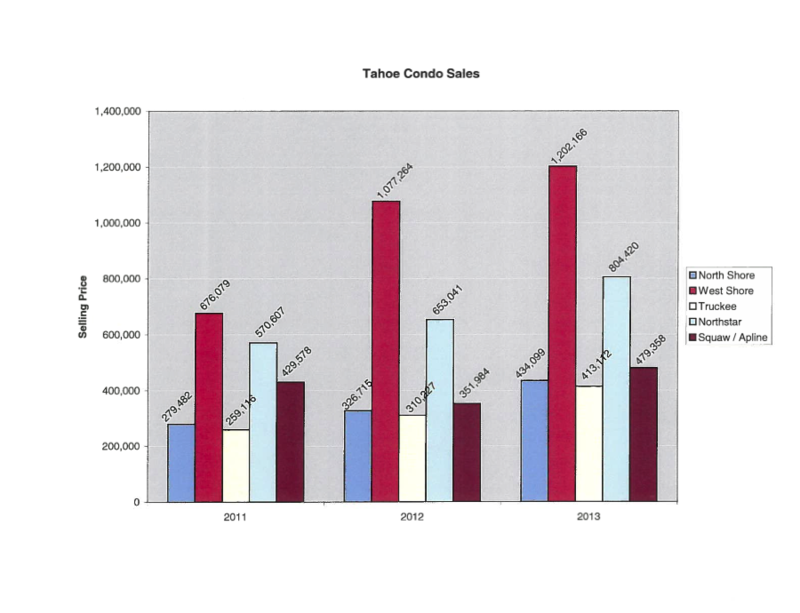 Below are the numbers for sold homes, condos and lots in the Lake Tahoe area for the last 3 years. Please note that these are categorized by area, and year. 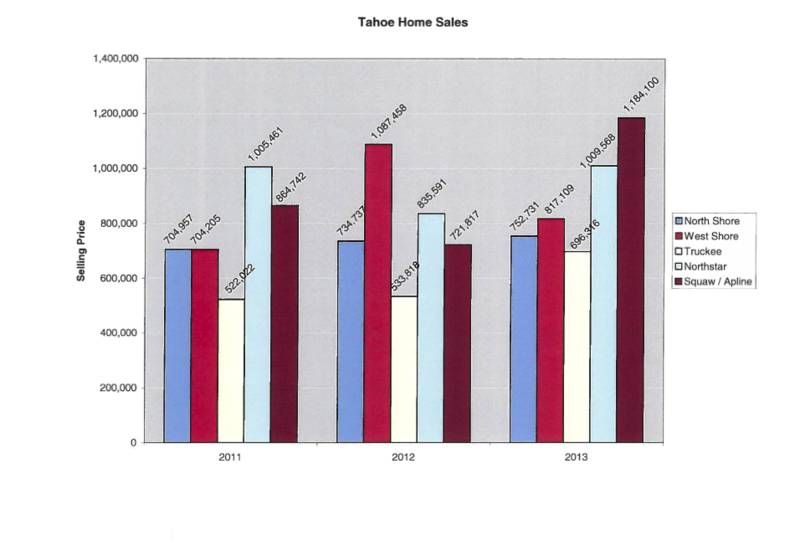 This graph shows the averages for real estate sold the entire Lake Tahoe area. Each number accounts for an average of the 5 areas (North Shore, West Shore, Squaw / Alpine, Truckee, Northstar) shown in the graph above. So, instead of looking at data for Truckee or West Shore.. we are looking at the Lake Tahoe area as a whole. At first glance, you can see that homes typically cost more than condos; and condos typically cost more than lots (no surprise here). 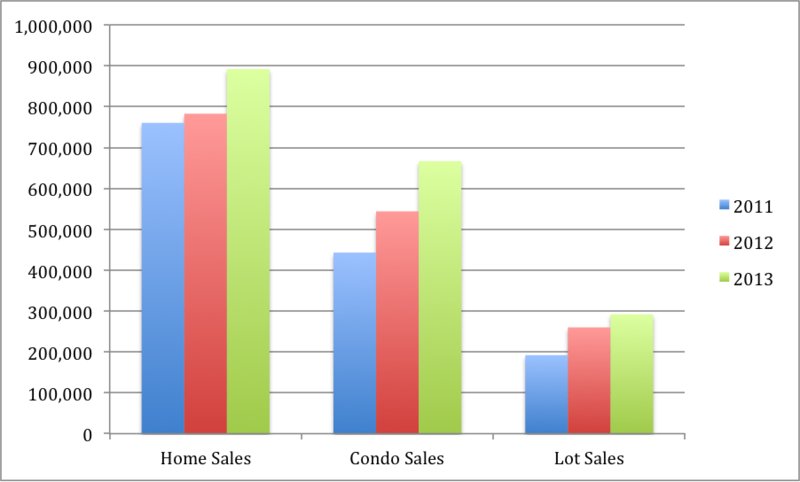 We can also see that over the last 3 years, prices have come up, which indicates a strengthening market!